Everyone is looking for that quick fix that boasts amazing results without a lengthy recovery. In the past, you had to choose one or the other: great results with a substantially longer downtime or less impressive results with a rapid recovery period. Now, your skin can have it all thanks to the Halo laser. Board-certified oculofacial plastic surgeon Dr. Vivian Schiedler is proud to offer the one-of-a-kind innovative fractionated Halo laser at Oasis Eye Face and Skin. Busy residents in or around Ashland, OR who are looking to improve and revive their appearance and skin’s health should ask about this amazing treatment option. The Halo laser is unlike any other laser facial treatment. It is the only laser available today that can deliver two separate wavelengths at the same time. Most laser resurfacing treatments are either non-ablative or ablative. The non-ablative wavelength targets the deep dermal layers and leaves the upper layers untouched. This causes tightening and collagen formation and is often used to target pigment and blood vessels, fine lines, and wrinkles. The ablative wavelength, on the other hand, targets the outside layers of damaged skin to produce epidermal renewal. The Halo laser combines the two types of lasers and delivers a combination of ablative and non-ablative pulses simultaneously. This allows for better results and quicker recovery time. By combining non-ablative and ablative therapy, you get the best of both worlds. Facial flaws under the skin and on the top surface can be treated with a single treatment modality. Plus, the ablative laser wavelength vaporizes the top of the non-ablative channel, thereby speeding up healing. This allows for less downtime and less risk than ablative full field resurfacing on its own. Halo treatments are very tolerable and are performed using a topical anesthetic for the patient’s comfort. The Halo laser wavelengths are emitted using a handheld applicator, and the device constantly measure the temperature of the skin and calculates the exact depth necessary to achieve optimum results. The device also blows chilled air over the skin allowing for maximal comfort. Treatment settings are entirely customized to meet the needs of the patient, and Dr. Schiedler’s knowledge and skill as an oculofacial plastic surgeon allows her to safely and comfortably treat the eyelid area. This is not the case with all Halo providers. Treatment with the Halo laser can help tighten the crepey thinning eyelid skin that is first to be affected by aging. Treatments are quick and depend on the severity of the problem being addressed. Two treatment sessions one month apart are recommended initially, followed by a yearly maintenance treatment and diligent UV protection with home-based skin care products. Halo is often combined with BBL and Forever Young BBL therapy for complete rejuvenation. The downtime associated with Halo is not extensive and relatively quick when compared to other laser modalities. Depending on the aggressiveness of the treatment, there can be some redness and swelling for the first two to three days. Tiny pixelated rough spots that feel like sandpaper slough off between days three and five. Taking time off work is not necessary, however most people prefer to have the weekend to recover post-treatment. 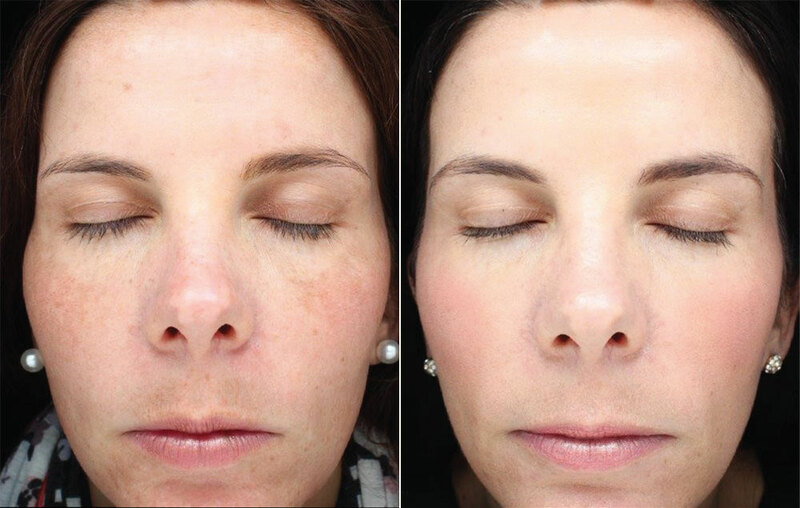 The Halo laser is a deeper treatment, so it is important to avoid sun exposure before and after treatment. Results are long-lasting, and you will be able to see improvement in your skin in just a few days. The Halo “glow” is a brightening effect noticeable in the skin in as little as one week. This brightening is caused by the lifting of deep pigment, which causes light to reflect off the skin better. Your skin will look and feel healthier and more radiant. To help maintain your rejuvenated appearance, you may choose to complement your Halo sessions with other facial rejuvenation treatments such as microneedling, chemical peels, or other laser light therapies such as BBL. How many Halo treatments are needed to achieve full results? It is recommended that you have two treatment sessions spaced one month apart to achieve full results. Annual maintenance sessions may be needed depending on your needs and aesthetic goals. Treatments are customized for you, so scheduling several less aggressive sessions as opposed to just two more aggressive treatments is possible. Talking to Dr. Schiedler to explore different options is the best way to achieve the results you want. Is the Halo laser painful? Treatment is not painful. Most patients report a warming sensation along with some slight prickling, but nothing that is unbearable. To ensure your comfort, a topical anesthetic is used before the treatment to alleviate any sensation or discomfort. What are the benefits of using Halo? Because the Halo laser can use two wavelengths in one treatment, you can achieve more significant results with less downtime. Who is a candidate for a Halo laser treatment? Almost anyone can benefit from the Halo laser. However, ideal candidates are those people who lead busy, active lives or who cannot take time off work. There is minimal downtime, but you may want to skip sweaty exercise that could cause stinging in your face for the first two days. Depending on treatment goals, some people may swell around their eyes on day two, but this quickly subsides. You should keep your skin moisturized for the first five days and begin applying sunscreen on day three with the products you will receive from Oasis Eye Face and Skin. How soon will I see results from my Halo treatment? Results may be seen in as little as a few days, but most patients report brighter and more radiant skin after a week. The great thing about the Halo treatment is that your results will continue to improve over time as collagen continues to be produced over the following six months. 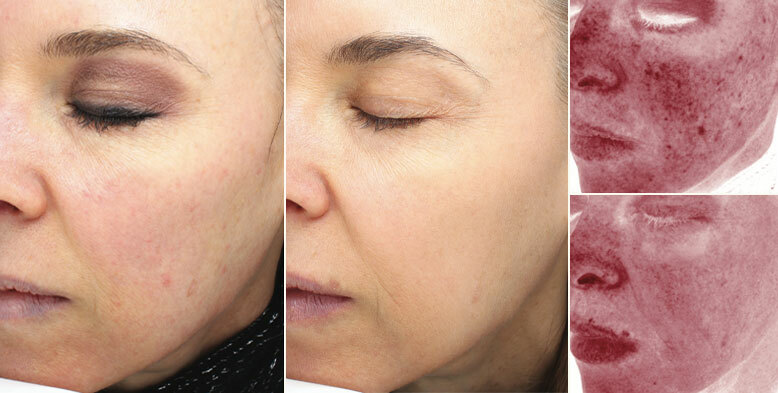 The Halo laser is a facial rejuvenation treatment that uses a combination of non-ablative and ablative laser wavelengths to treat deep and superficial skin flaws simultaneously. If you’re looking for a facial treatment that can provide you with brighter skin with little downtime, the Halo laser will not disappoint. In a matter of days, you can have glowing skin that is healthier, smoother, and more radiant. To learn more about the benefits of the Halo laser, contact Oasis Eye Face and Skin by calling 541-500-0165 and scheduling a consultation with Dr. Schiedler.